Mediterranean Sandwich Co. offers the finest Rotisserie Chicken and Beef/Lamb with exciting dishes and friendly service. Here, every dish is handcrafted to order using the freshest, finest ingredients. Our specialties are stone toasted flatbread sandwiches, homemade soups, and orzo pastas. Simple, fresh ingredients arranged to create bold unique flavors, an innovative menu and friendly staff create a truly enjoyable dining experience. Anyway you want it, that’s the way we do it! Our catering services are second to none. We offer sandwich platters, individual lunch boxes, make your own gyros, appetizers, pans of orzo pastas, Greek Salads, drinks and desserts. All made fresh, minutes before delivery. Your guests will love you and they will come back craving more! 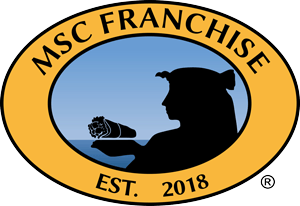 Mediterranean Sandwich Co. is now franchising. We are always looking for individuals with a passion for Mediterranean Sandwich Co.!